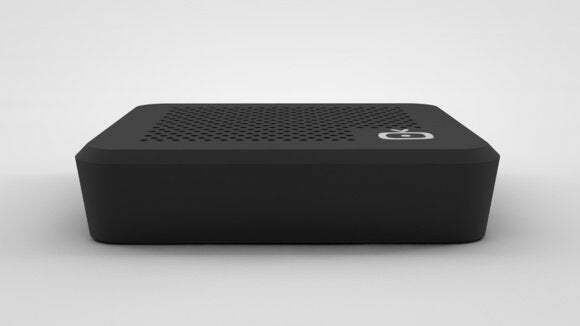 The box takes up barely any space—it’s a lot smaller than a TiVo. When you want to watch a show, you go to the My Shows section of the app or website. There’s a bit of name inconsistency here—in the iOS app, you have to tap the word Library . ...and then you pick your quality in the pop-up shown here at left. But nothing appears to happen. You have to click the download arrow again, then you’ll see the “Ready for download” link, shown here at right. Unfortunately, it doesn’t burn much less when it has nothing to do—about 9 to 12 watts. Not that it never does nothing. There’s no option to put it into standby mode. The connected hard drive is always spinning, and the fan usually is too. I suspect those add a lot to the wasted power. My tests estimated that it would burn more than 8 kilowatt-hours over a month of no real use. 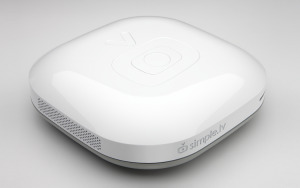 Simple.TV lets you program your DVR through your phone, tablet, or computer, watch anywhere, and even save programs for offline viewing. But it has issues playing on some PCs, there's no Wi-Fi, and it lacks a power-saving mode. No subscription needed. Lifetime subscription available. Shows are viewable on tons of devices, and easy to send to your TV. No built-in Wi-Fi limits where you can put this. We had problems playing TV shows on a computer. Uses a lot of power when idle, and the fans never seem to stop spinning.